Weber Shandwick had double-digit growth in Q4 and mid-single-digit growth for the full year, according to the agency's CEO. 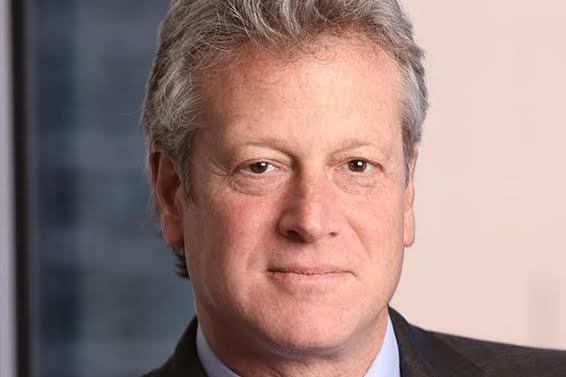 NEW YORK: The PR firms in Interpublic Group’s Constituency Management Group posted high-single-digit organic and as-reported Q4 growth, as well as mid-single-digit growth for the full year, Weber Shandwick CEO Andy Polansky said on Wednesday. Weber, Polansky said, reported mid-single-digit growth on an organic and as-reported basis for all of 2018 and "strong" double-digit growth, also on both an organic and as-reported basis, in Q4. Polansky said that "16 offices [reported] double-digit organic growth in the quarter, and Weber had a particularly strong performance in major U.S. markets such as New York, Chicago, and Los Angeles, and in international markets like Hong Kong, India, Brussels, and the U.K."
Polansky credited the healthcare and technology sectors for bolstering the results, singling out strong results from Weber’s ReviveHealth unit. He also cited Golin, which was bolstered by London-based Brooklyn Brothers, and Rogers & Cowan’s "strength in its core talent representation business and incremental growth in the gaming sector." CMG includes the PR firms of Weber, Golin, DeVries Global, Rogers & Cowan, Current, Creation, and the Axis Agency. It also houses marketing specialist firms such as Jack Morton, FutureBrand, and Octagon. Some Interpublic PR firms operate outside of CMG. Interpublic’s CMG unit reported an organic revenue increase of 5.1% in Q4 to $337.1 million. For full-year 2018, organic revenue for the unit was up 3.4% to $1.3 billion. Organic revenue at Interpublic Group overall increased 7.1% in Q4 2018 to $2.4 billion, and 5.5% for the full year to more than $8 billion. Net income grew more than 27% in Q4 to $342.5 million, and by 11.8% to $637.7 million in all of 2018. Operating income increased by 8.5% year-over-year to $459.1 million in Q4, and by 7.5% to more than $1 billion for 2018 as a whole. Last year also presented challenges for Weber with major account reviews such as Experian and State Farm, which was eventually won by Zeno Group, and public relations duties on the U.S. Army account going to FleishmanHillard. In addition GM, a major Weber client, recently announced layoffs to its comms staff. Polansky added that his firm is continuing to work with the Army through the first part of this year and has increased its duties for GM. "We will continue to support the Army through the first part of 2019, and that account will be transitioned thereafter," he said. "As for GM, we continue to be one of GM’s core PR partners and have taken on more work during course of 2018."